The Trangia Triangle Stove Base is perfect for ultra light outdoor cooking. 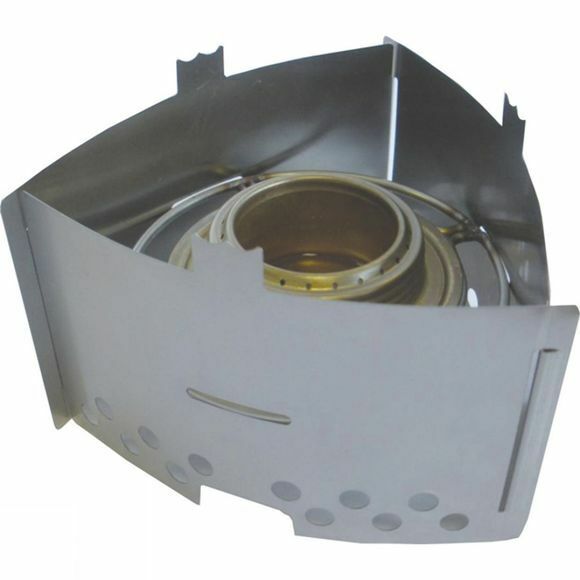 Fitting either the gas or spirit burner (Not included) it forms a safe, stable base which can support pans or kettles over 10cm in diameter. With Trangia's classic vents the burner is, as always, protected from the wind but optimised with air flow. It packs away into a small drawstring bag that will help you keep everything together.